We found 14 More deals in Sioux Falls. Top-Quality, Backyard Fire Pits - Entertain on National S'mores Day! Just $10: Premium Party Supplies for National S'mores Day, Class Parties + More! Martha Stewart Feature: All-Natural, Gourmet Marshmallows for National S'mores Day! 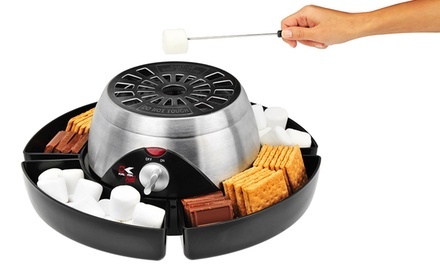 Tickle your taste buds any time of the year with the Electric S'mores Maker from Kalorik. Grab your new favorite kitchen item for $49 (save 18% off $59.99). Free shipping! The Perfect S'mores Maker + 24 S'mores Recipes to 'Wow' Your Family this Holiday Season! The Perfect S'mores Maker + 24 S'mores Recipes for the Holiday Season!